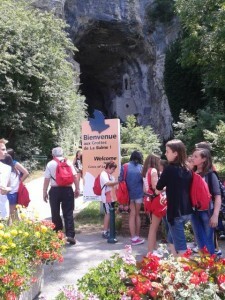 This was celebrated from June till July in the Schools Charles de Foucauld of Lyon and School Saint Louis of Dagneux. 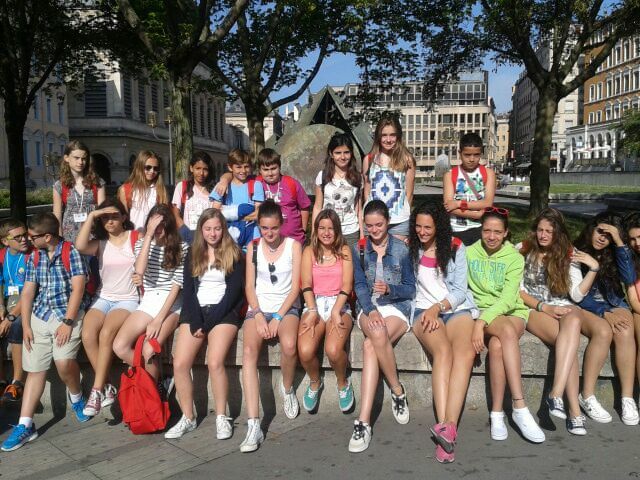 They have participated Spanish students: 30 from Madrid, 20 from Palma de Mallorca, 10 from Barcelona, 8 from Burgos and 5 from Gavà; and 4 Italian Students. All have been welcomed by families of the School of Lyon. The French participants have been many. Usually we used 6 buses. Saturday, 28, Spanish and Italian arrived. We had a welcoming snack and distribution in families. Sunday, 29. 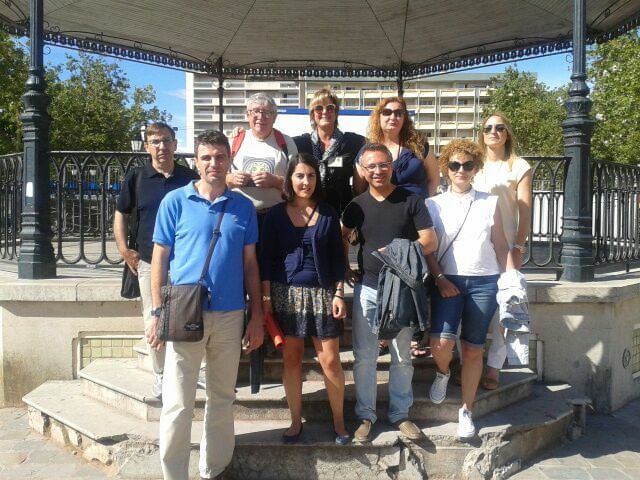 The students passed the whole morning with the families. Afternoon we celebrated an international Eucharist in the Basilica of Fourvière. At night, official party of opening for the Spanish and Italian monitors, in the “Hermes” ship. Monday, 30. Topic: Water. Orientation race in Maribel Jonages park, in mixed groups and outing by boat in Saone and Rhone Rivers. Tuesday, July 1. Excursion to Pérouges/Crémieu (medieval villages) and caves of Balme (stalactites, stalagmites, swimming pools, lake, cooking pots, labyrinths, balconies, paints of Francis I, stories and legends, 666 steps). Wednesday, 2. Excursion to park of Walibi, with fun fair, especially, Skunx Tower, Bambooz River and EqWalizer. Thursday, 3. 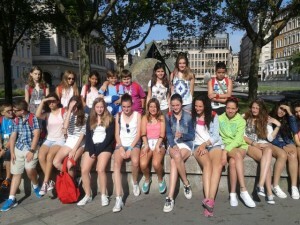 Visit to Lyon and Galo-Romaho Museum. Friday, 4. 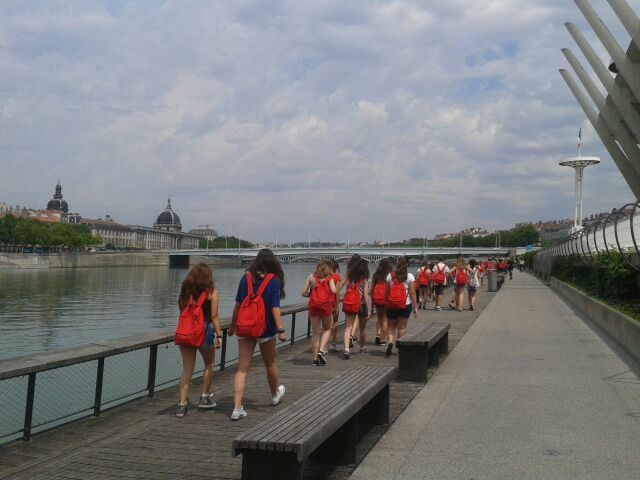 Visit to Lyon and Resistance and Miniatures Museums. At night, closure dinner in the School Saint Louis of Dagneux, with the Educational Communities of the two Schools. Saturday 5. Day in family. At night, dance and closure in the Lyceum. It was very well organized, and students and families and guests enjoyed very much. The impressions are very positives: very good organization, extraordinary welcome, variety of activities, many people implied, delicacy in the manner, meeting among diverse cultures, great ambience of friendship, in family. A good way to honour Brother Gabriel and to show that we want to walk with him.